Can be referred to electron basic setting like hot-loading, build, auto-launch, auto-update etc. I have managed oh-my-desk maked electron. oh-my-desk has a core feature that is needed for other electron projects as well. (like hot-loading, auto-update, auto-launch etc.) But It is huge project to consult a core features. 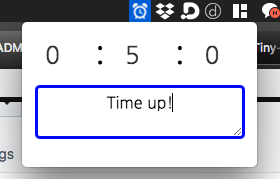 Therefore, Tiny-Timer is a simple project and is easy to consult about how to make a core feature. Following link and Download matched file about OS. 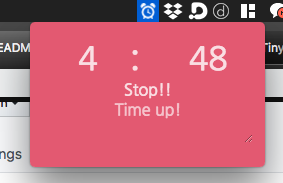 Setting time and script then occur notification with script when time up. space or click: stop the timer. 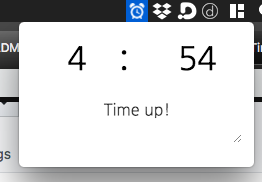 npm run start // run `Tiny-Timer` in development mode. npm build // build `Tiny-Timer` in production mode. I make this project to help initialize about electron project. I leave the guide for initialize electron project. Please reter to this repository. Auto Update need to Code-Signing. If you want, commit about code-signing, leave an issue! 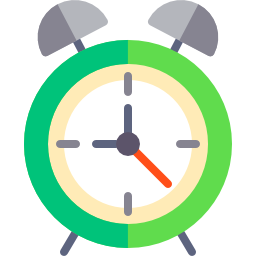 Welcome about Both of case refactor timer feature and question about Progress of development. I hope to help your project.